Registration will be opening soon for this training. Please contact Tracey at traceyjmoon@gmail.com or text 919-907-0579 to be notified. This three day Integrative Reflexology Certification training is being held at The Mountain Retreat Center in Highlands, NC, a place chosen for its peaceful and inspirational views in the heart of the Blue Ridge Mountains. Enjoy the quiet of a walk in the old growth forest with rare white oaks or contemplate in the beautiful mountaintop labyrinth. 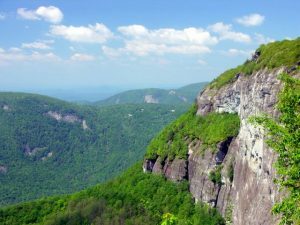 The Mountain is located just four miles from the resort town of Highlands, NC. 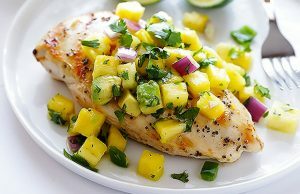 On-site accommodations and healthy meals prepared by a professional chef. Can I commute if I don’t want to stay on-site for the training? We highly recommend taking advantage of this retreat location and staying onsite whether you live locally or are traveling from afar. It is The Mountain Retreat Center’s policy that you must live within 30 miles of the retreat center in order to commute, otherwise the rates below for accommodations and meals apply. The lodge accommodations are situated on top of the mountain with spectacular views of the Blue Ridge mountains from many rooms, the workshop space and decking. Those who register the earliest will receive priority with mountain view rooms. What is the price for on-site accommodations and meals? Costs listed below are per person for each night and include Wednesday and Thursday night accommodations and all meals daily during the training beginning with lunch on Wednesday and ending with lunch on Friday. 2020 pricing will be updated soon. Can I room with someone I know? Yes. When you register please let us know that you are attending with someone and that you would like to share a room with them. If you are coming to the training alone and would like shared accommodations, we will pair you with a same-gender roommate. Are meals available during the training? Yes. The Mountain Retreat Center provides delicious, healthy meals during the training. If you have any food restrictions, sensitivities, allergies or dietary needs, please let us know in advance. All meals are included during the training when you stay on-site. If you live locally and commute, breakfast and lunch is included in your $30 commuter fee. Will there be time in the schedule for rest, hiking or massage therapy services? The training runs from 9:00am-6:00pm each day. Mornings and evenings will be available for personal time. For those of you who would like to extend your retreat experience, you may wish to come in a day early or stay an additional night after the training. Can I arrive a day early or stay a day late to extend the retreat? Yes. You have the option during the registration process to add Tuesday night and/or Friday night (highly recommended). Breakfast on Wednesday/Saturday is included in the price however dinner on Tuesday/Friday night (before and after the training) is not included when you add an additional night. Price for an additional night is $75 per person, includes breakfast and can be added during the registration process. I’m a massage therapist – can I receive continuing education hours for this training and retreat? Yes. Integrative Reflexology is NCBMTB Approved and massage therapists will receive 24 CE hours. You will receive a certificate of completion electronically to submit to your state licensing board or for recertification with the NCBTMB. If you are a licensed massage therapist in the State of Georgia – please read important details here about your continuing education credit. We’ll need one massage table for every two people attending. You will receive a welcome email after registering with a list of what to bring. This email arrives within 24-48 hours of your registration. If you didn’t receive it, please check your spam box and add the email info@cultivatinginnerstillness.com to your contacts. How do I get to The Mountain Retreat Center? The retreat center is located about 1.5 hours south of Asheville, NC, 2.5 hours northeast of Atlanta and 3 hours west of Charlotte, NC in the Blue Ridge Mountains at 3872 Dillard Rd, Highlands, NC 28741. I still have more questions, how do I get in touch with you? Please write to one of the facilitators: Tracey at traceyjmoon@gmail.com or Sharon at info@cultivatinginnerstillness.com. You can also call 919-907-0579. We do not share our email list and you can remove yourself at anytime!